Uncle Michael that is so vocally anti-gay marriage, that neighbour who just won’t stop bugging you about all things you find boring, the incessant noise from the television that the kids just won’t lower —practice being patient with the parts of other people that frustrate you, and as an extension of that patience, remind yourself to be kind. Most people likely have their own anxieties and stress going into the holiday season, so if you try to approach each person you encounter with greater kindness, perhaps everyone will relax more and enjoy the moment. Instead of adding to the stress during holiday travel, for instance, try to find ways to show kindness towards other travelers who are similarly stressed as they try to make it to their destinations. 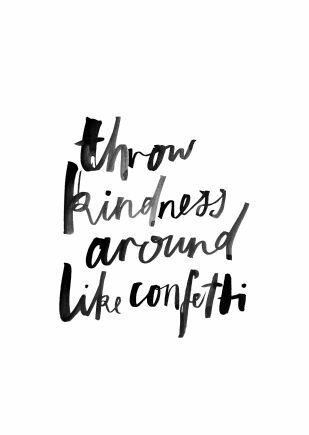 Kindness is a practice because sometimes it can take effort, but over time it CAN become our default habit. Self-kindness, also very important—be gentler not only with others, but with yourself during this time of year as well, cause you deserve it just as much as the rest.